Revengeofthe5th.net: Are There Star Wars Easter Eggs in Marvel's Phase Three Movies? Are There Star Wars Easter Eggs in Marvel's Phase Three Movies? 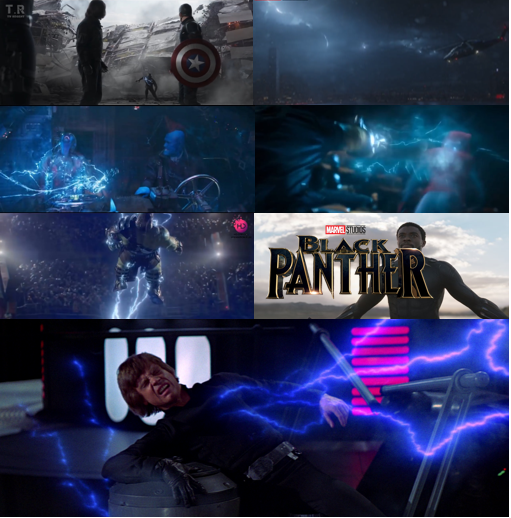 Reddit user KYLO733 has noticed that many movies in the third Phase of the MCU feature characters being hit by lightning, much like the Emperor’s iconic method of dealing with his enemies, first seen in Return of the Jedi. The handy graphic below points out all the times this has happened in films such as Thor: Ragnarok, Guardians of the Galaxy Vol. 2 and Spider-Man: Homecoming. Read more at We've Got This.